If you ever want your blog to really skyrocket, you need a way to scale. You need to develop a system that will allow you to grow consistently over time, without hitting any sort of plateau. Without hitting a ceiling, or any limits. I started this blog because I knew that this market had limitless potential. I knew that the possibility was there to make millions of dollars a year. I knew that any limits that were in place were set by me, and I had control over all of them. It wasn’t like that in the iPhone market, where I used to work in. I took off, and within a couple years I hit the max I could ever possibly make. Most bloggers will never hit that ceiling if there even is one, because they do not do what is necessary to scale their business. Results come from putting our resources to work. For most people, this means utilizing our power base, our money, and our time. Here’s the thing. Two of those three things are limited. Every person in the world only has 24 hours in a day to get things done. Nothing you can possibly do will ever make more time available then that. Your power base, your connections – this can continue to grow, but it can only grow so quickly. Exponential growth with real, two way connections are again limited because you only have so much time in a day to connect with people. However, the one thing that there is a practically infinite supply of is money. If you are able to develop a system that’s profitable and you reinvest your profits back into that system, your growth can skyrocket quickly. Best of all, assuming you’re in a market with huge potential, you’ll never really reach any limits. You can scale your money, but you can’t scale your time. You’ve likely heard of PPC (pay-per-click) advertising before. You place an ad out there, and you pay a certain amount every time somebody clicks on that ad. A lot of people see this as something scary. Paying money for traffic? Why would you want to do that, when there are so many fantastic free methods out there? But free traffic methods aren’t really free after all. They take an even more valuable resource than your money. They take your time. That’s the power of compounding, and it’s what makes this type of advertising so powerful. But look, I’m not one to simplify things, and make them out to be easier than they really are. If it were that straightforward, everyone would be doing it. However, using pay-per-click advertising to drive traffic to your blog, or to get people onto your email list (which is far more valuable in my opinion) isn’t as hard as you may think. Rather than sending people who click on your ad to a blog article, I recommend sending visitors to a squeeze page and then sending them back to your blog once you have them on your email list, so that’s what we’re going to focus on heading forward. Once you know the lifetime value of an email subscriber, you now know the maximum amount you can invest to acquire a new subscriber. For example, if every email subscriber was worth $5, then I could spend up to $5 to acquire a new subscriber through paid advertising. After all, if a subscriber would make me an average of $5 and I could get them on my list with PPC for $2, then it’d be foolish not to put all the money I can into that. Therefore, to improve your ROI, you need to do one of two things. The second one goes beyond this article, and I may eventually create an entire course on PPC in the future that will cover this in detail. However, I still want you to be able to get started with PPC today, so let’s take a moment to look over the two primary PPC platforms that are best suited for beginners – Bing, and Facebook. Bing is a heck of a lot cheaper than Google, and a lot easier for beginners as a result. However, Bing doesn’t have near the search volume, which means there’s potential for less clicks. Bing allows you to link to landing / squeeze pages, where Adwords does not. The premise however is the same – you bid on keywords against other advertisers. You set the maximum price you’re willing to pay for a click with that keyword, and Bing ranks you among other advertisers. However, this doesn’t necessarily mean bidding the highest will get you the top spot. Bing takes other factors like your landing page relevance and your CTR (click-through rate) into account as well. Their goal after all is to make the most amount of money possible from their platform, and an ad that gets twice as many clicks but is slightly cheaper will make them more than one with a more expensive bid, but hardly gets clicked on. You’ll find that when you go to place bids on keywords, there are different match types you can bid on, and you can set different bids for each of these. I recommend using exact match, and phrase match when it makes sense. Exact match is exactly what it sounds like – it will bid on that exact keyword, in that exact order, and nothing but that exact keyword. This is the most targeted of all the options, as you have the most control over it. As you can imagine, these aren’t quite as targeted, and can sometimes cause people to click on your ad when it’s not relevant to them at all. Therefore, you have to pay extra attention to how phrase match keywords convert for you. I recommend at least $100 to start. From there, eliminate keywords that aren’t converting well, and increase bids where it makes sense to garner more clicks. There is a lot of tweaking and testing involved to get a profitable system, but it only gets easier over time! Facebook can be just as effective as Bing Ads, but it’s handled a lot differently. Instead of bidding on search terms, you’re bidding essentially on different types of people. You narrow it down to demographics, interests, and habits, and try to target your advertisements to your exact target visitor. This can be a little bit more challenging, because you can’t interpret the person’s intention when clicking the ad. For example, if you bid on the keyword “best blue iPhone case,” you know pretty well that the person is ready to buy, and you know exactly what they’re looking for. This isn’t often the case with Facebook advertising. While you can craft your ad text to appeal to somebody with a specific intention, it’s not always easy. Therefore, even more testing has to be done to ensure you’re getting the maximum ROI possible. 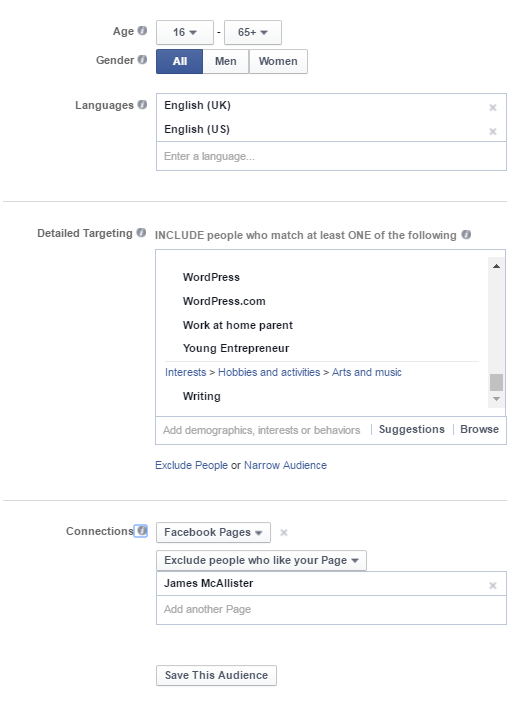 You’ll also want to install Facebook’s tracking pixel on your blog, because unlike with Bing advertising, you can’t track which specific advertisements are leading to conversions in Analytics on its own. However, the basic principles are exactly the same – test a variety of advertisements, track which are profitable, and make changes to ensure your ROI is as high as possible. As you start to hit limits in terms of clicks with certain advertisements, you’ll have to settle for a lower ROI and branch out a bit further. In the end, it’s the total return that matters, not specifically the ROI. A higher ROI is more important at first when you’re more limited with capital, but once that’s not as much of an issue, total return should be your priority. After all, who cares if you’re only making a 10% ROI if you’re getting a ton of new subscribers? Profit is profit. Pay-per-click has its place in any good marketer’s arsenal. If you’re able to develop a profitable system, it’s infinitely scalable, and is one of the quickest ways to start making a good income quickly. It does require you to take financial risks, which I understand may make you uncomfortable. However, a willingness to take calculated risks is one of the key differentiators between those who become a raging success, and those who never get anywhere. And hey, you’re already risking your time with other traffic sources anyway… so why not try it out? Meta Keywords – How Important Are They? I have used Facebook ads more than the others. hadn’t thought of using Bing – good tip – and I didn’t know about squeeze pages being acceptable to Bing – thanks. My Facebook ads didn’t really get me the intention I was looking for, but I did feel I had a decent result overall, so I’ll repeat that exercise, particularly now the rule on text has changed. My first foray into PPC was when I was on the very first coaching course I took many years ago as a complete beginner. I lost what to me at the time seemed quite a lot of money and I wasn’t happy, so I complained to the company and asked them to get their PPC expert to set me up a campaign. His campaign also lost money, so I’ve never tried Google PPC since then. The next scare story was that my daughter-in-law’s business was doing very nicely with getting leads through PPC, then suddenly it fell apart and, to cut a long story short, she discovered that her biggest competitor was clicking on her ads, and getting others to do so too. It wasn’t a major loss because she’d set a sensible budget, but since she was a victim of that dirty tricks campaign she stopped using PPC adverts. Nevertheless, I know many people successfully use PPC and with your tips above I’m sure we can all get a better result. The good thing about PPC is that if you develop a system that works, you can scale it practically infinitely. It can be difficult to get that system profitable but once it is, you are good to go. Google PPC is by far the most difficult because it’s so fiercely competitive, so you’ve really got to know your numbers and stay within them. Even if you’re settling for a lower ROI, the power in Google in my opinion is in its volume of clicks so once budget isn’t an issue maybe I’ll start focusing more there. For now, I haven’t done too well with it either. I remember you telling me about the click fraud before. As far as I know that’s taken care of on most major ad networks now, but I’m not absolutely certain. Still, it’s something we’ve got to look out for. Especially if you’re working with a low ROI, even small hiccups can turn a profitable campaign into an unprofitable one! Thanks for stopping by and sharing your experiences Joy, here’s hoping in the future that things get better! When running a business there are so many ways to get people into your email list. And as “they” say the money IS in the list. It is true. When using free advertising via blogs, and social media, it is not FREE. It is time and time is money…more that PPC could ever be. When we calculate the time we spend trying to monetize, write it on paper…we see how costly it is doing stuff for FREE. PPC has worked so well for me. Of course, we need to go to a reliable source. Once we do a percentage will come into our mailing list and sales funnel. If we have that funnel set up correctly, it works well. Some will purchase immediately, others will come into the fold at a later date. The only way PPC does not work, is if one does not know what they are doing. 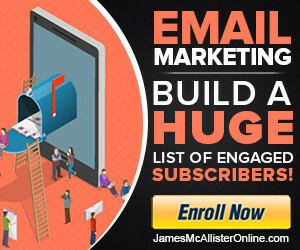 I think it is wise for those to pick up your email marketing course. You’re absolutely right, and the lengths people will go to acquire free traffic can be kind of ridiculous, especially if that traffic stream isn’t recurring. I know for a long time it would’ve made more sense for me to go work a job somewhere and use that money to invest in PPC because I spent so much time getting traffic. You are so right about the system. Many people try PPC with too small of a budget, have no real system in place to monetize that traffic, then claim PPC is a waste of money. This is why it’s so important to know your numbers and constantly tweak and test. Once you know your numbers, it’s pretty easy and straightforward from there. I dig the heavy focus on scaling. I’m learning this big time with my eBooks. Because in the past I just sold them. Did not do too hot. Then I did a free giveaway here and there. Did OK. Now I do 5 day free giveaways starting each Friday. Kid you not the first day I promoted the 5 day freebie, I alerted my friends on a Wed, prepping for Friday’s freebie. A handful just bought the darn eBook on the first day I gave em a heads up, and yes, my sales were approaching what I normally did in a week, during that day. Why? Scaling. Gave eBooks out for free and folks jumped on buying it, even before I reaped the benefits of getting hundreds of downloads and 40 5 star reviews on my first freebie. A bunch of folks will promote your freebie without any real limits, and you’ll scale up. Your PPC strategy is about scaling. No limits. Of course, some on the budget end as you dip your toes but if you are willing to embrace the financial discomfort, you’ll rock it out, and you’ll see a jump in traffic and sales steadily. All because you thought bigger, bigger, wider, wider, and went beyond a competitive plane of thought, onto the creative plane. Right on, every business needs a plan in place to scale and I will never start a business I knew would not be able to scale to at least $1 million / year in net profit. The thing about scaling is that success tends to perpetuate more success so it’s easy to grow exponentially. That is how you reach the top quickly, by having a plan to scale that goes beyond yourself and then reinvesting whatever you get back into acquiring more. Money, fans, whatever. And with paid advertising, the only real limits are your budget if you’re working in a healthy market. As always, thanks for stopping by Ryan! P.S: Jealous of the sunny weather! I’m glad you featured this topic. Most blogger never talk about it, and it can be viable for some marketers. I got my start in the online world with Google Adwords. It worked great for the first few years but then they started making life difficult for marketers like me. After getting my account shut down a few times I gave up on them. Bing is good – an easy company to deal with – but as you say, they don’t have huge traffic volumes. Finally, we have Facebook ppc. Another difficult company to deal with. I always advise newbies to avoid Facebook. If they insist, they need to be prepared to lose money for a time, whilst they’re learning the ropes – it can be quite tricky to turn a profit in the short term. All in all, when comparing search traffic with social media traffic, I would rather bid on the former. Hi Kim! Not sure how I missed your comment… sorry about that! Honestly I haven’t spent much on Adwords at all. I have no doubt if you get it down it can be really powerful but of course that also makes it tough. You really gotta know your numbers and optimize. Too tough for me right now, but something I’ll surely get into in the future. Facebook has actually been really good for me, but it is definitely harder to track and target visitors with specific intentions. You really gotta pay attention to how things are converting and what you’re paying. Thanks Kim, glad you were here to chime in on this topic! Got to your site through Joy Healy’s website. And you write amazing content, Learned may new things for sure. And you are so right, when you advise us to know our numbers. purposes, I totally get the math behind the approach. And every step before, during and after, has to add up. Mark recently posted…How Extremely Savvy Entrepreneurs Generate 300% Better Results With Less Starting Capital! You’re right, it’s all about the numbers, and constantly improving them over time. I’ve always been fairly analytical so I really like working with them. Plus, since it’s so scalable and doesn’t require a ton of work once you get things going, it’s great for me since I’m always so busy working on other areas. I would advise everybody to get into PPC at least a bit when you have something to sell – it’s one of the greatest ways to scale your business! Good talking with you Mark! Great Post regarding the importance of PPC for our blog. Their are so many methods to gain traffic to our website like social media and email marketing. I am using email marketing for the last 02 years and quite happy with its results. With the use of few software like Inbox Blueprint 2.0, it an automated software to create your email marketing campaign in a few clicks, this system allows you to set up your opt-in page and also generate a free report and avails auto-responder emails features. PPC requires lots of efforts and money and we should invest on it wisely. Pay-per-click marketing is the best way to get visitors when you need traffic to your website. But it is quite risky: With poor management. If you spend enough time, you can get best and potential customers. So PPC advertising is very fast: with some systems, such as Google AdWords, you can generate targeted traffic within a few minutes of opening an account.